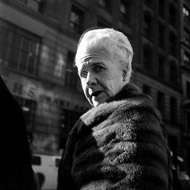 A few days ago I discovered the work of Vivian Maier through a friend. The week after another friend pointed out that Hilaneh von Kories, on of Hamburg’s should-see photo galleries opens an exhibition of Vivian’s work on Thursday, January 28th. Word of mouth or sheer luck seems to be connected to the street art cache, so long hidden away in boxes. I went to the vernissage yesterday and found myself in alignment with all guests on the works – they tell stories! What else should you want from a street art picture? What happened to the Canadian girls playing, or the elderly women of New York? Are the upper-class ladies sneering at her, a nanny-gone-photographer? The picture show their gaze but then, maybe it was not ill-nature but just an itching nose? 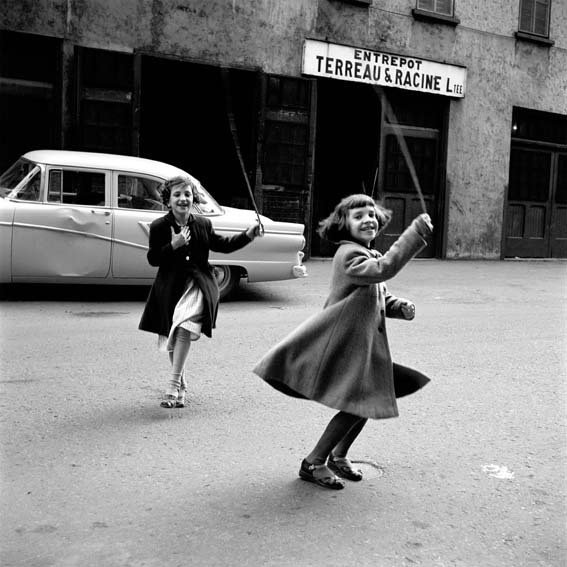 There is poverty and dirt, rubbish and dust on the streets of New York in Vivian’s photos, but there’s always a story and most often sympathy with the children playing, the elderly and the poor. Street Photography is not about getting a model release but it’s the story, the critical moment. Today in mass media the focus lies on the glamour (with envy / as role model), crime (with disgust and alarmism) or poverty (with loathing) – but in this old-style street photography the focus lies on a sympathetic view which tells me of hope, joy and self-respect in most situations. The photos on display are medium format shots taken with a Rolleiflex. The film was scanned and post processed leading to deep contrasts and sharp + clean pictures you wouldn’t have expected after knowing the story of Vivian’s treasure in boxes. They are inkjet prints and will be sold in an world-wide edition of 16. The exhibition is definitely worth a visit if you’re in Hamburg or around. It is on show until April 28th. Opening Tue-Fri 2pm-7pm. On the gallery’s website you’ll find more background information as well as some of the photos on display.